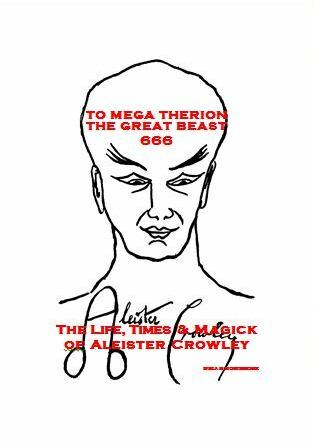 Thelemic Order of the G.D.
To Mega Therion, The Life, Times & Magick of Aleister Crowley. Lamed The twelfth letter of the Sacred Alphabet. It literally means ox, has the phonetic value of L, and has a numerical value of 30. It is further attributed to the Zodiacal sign Libra and the Tarot Trump Justice. Lammas Also known as Lughnasad, the Wiccan grain holiday celebrating the first harvest on 1st or 2nd of August. In ancient times, this was the feast of the corn-god, who represented the life force of the crops, and who was slain at harvest time to dwell in the underworld (often in the form of buried wine-jugs) until his rebirth at the winter solstice. See also Sabbat. Lamp A magical weapon is any instrument used to bring about intentional change. In practice, magical weapons are usually specific, consecrated items used within ceremonial ritual. There is no hard and fast rule for what constitutes or does not constitute a magical weapon. If a magician considers it to be a weapon, then a weapon it is. However, there does exist a set of magical weapons with particular uses and symbolic meanings. Some such common weapons/tools include the dagger/sword, wand/baton, cup/chalice, paten/pentacle/disk, holy oil, lamp and bell. See Magical Weapons. Left-hand Path The terms 'Left-hand Path' and 'Right-hand Path' refer to a claimed separation of two distinct types of religion, the exact meaning of these terms having varied over time. The modern usage regards religions which focus upon the worship of one or more deities and the observance of strict moral codes, as belonging to the Right-hand Path, while religions which value the advancement of the self over other goals are considered to belong to the Left-Hand Path (sometimes referred to as the Dark Path). Lemegeton The Lesser Key of Solomon or Clavicula Salomonis Regis (the Clavicula Salomonis, or Key of Solomon is an earlier text referring to different material), is an anonymous 17th century grimoire, and one of the most popular books of demonology. It has long been widely known as the Lemegeton. Leo Leo, the Lion, is a fire sign and the fifth sign of the zodiac. Leo is ruled by the Sun. Levitation A phenomenon of Psychokinesis in which objects, people, animals, etc., rise into the air and move about without any known physical or visible means. Ley Lines A term coined by archaeologist Alfred Watkins, these are grid patterns formed by drawing connecting lines between ancient standing stones, stone circles, and other ancient monuments, which are said to mark the intersection of natural earthly energy currents. Many claim these areas are associated with increased paranormal activity, or 'gateways' for supernatural beings. Liber Al vel Legis See Book of the Law. Libra Libra, the Scales, is an air sign and the seventh sign of the zodiac. Libra is ruled by the planet Venus. Litha Another name for the midsummer solstice, which falls on 21 June, or thereabouts, in the Northern hemisphere, marking the beginning of summer. Litha is one of the principal Wiccan Sabbats, or holidays to celebrate the peak of the sun's power. See also Sabbat. Lukumi The Ju-Ju tribe of the Yorùbá culture has a religion with 600 'gods'. Lukumí originated in Cuba and was historically practised by descendants of West African slaves. Later, in the early 18th century, the Spanish Catholic Church allowed for the creation of societies called cabildos to provide means for entertainment and reconstruction of many aspects of ethnic heritage. The slaves practised Yorùbá religious ceremonies in these cabildos, along with religious and secular traditions from other parts of Africa, combining their 'masters' Catholic saints with their own Orisha, which came to be known as Lukumí. Lurianic Kabbalah In the sixteenth century Rabbi Isaac Luria (1534 – 1572), a Jewish scholar and mystic, founded one of the most important branches of Kabbalah, often referred to as Lurianic Kabbalah. In this branch of Kabbalah, the purpose of man is to restore the original harmony in the universe that was destroyed with the breaking of the Vessels (also known as the 'Fall').